In the age of cell phone cameras, pro photography remains a true art. In 2018, most Americans walk around with a camera in their pocket or purse at all times, chronicling every meal, moment and memory of their lives. So what does it mean to be a professional photographer in a world where we're taking pictures all the time? It might seem like a challenge making a career out of doing what so many people do in their spare time, but many professionals in Utah still find their bliss behind a camera. From wedding and family portraits to commercial advertisements to fine art, they show that there's more to the craft than pushing a button. Cat Palmer, a multiple winner of City Weekly Artys and Best of Utah Arts awards for her photography, first picked up a camera 23 years ago because "I had to take an elective in high school," she recalls. 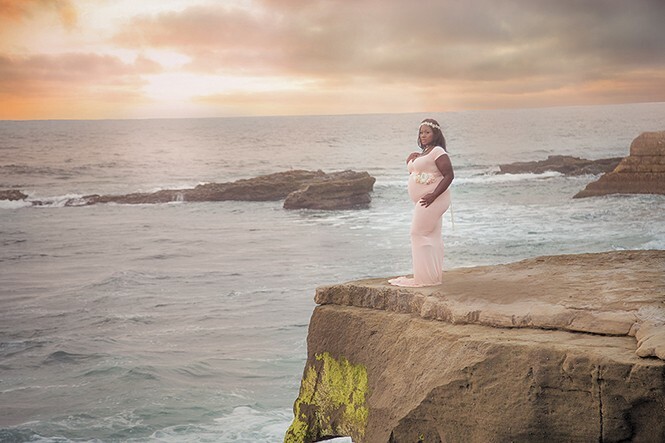 After moving from her native California to Utah in 2001, she slowly began building a clientele for commissioned work like weddings and family pictures, while also exploring more artistic photography. It took several years before she was able to quit her day job but for the past decade, she has made her living exclusively through photography. As is true of many professional artists, Palmer tries to find the balance between work that excites her artistically, and work that pays the bills. "I have the portraiture work, and I have my art work," Palmer says. "I see those as two very separate entities. For one, I'm being commissioned by people, and for the other, I'm coming up with my own ideas, where I can get angry, get rowdy, get loud." While she sees those two aspects of her work as distinct, that doesn't mean commissioned work is about going through the motions, or that it doesn't have her unique point of view. "When people are considering hiring me, I say, 'Go check out my website, and if you like my style, let's talk,'" she says. "[Photographers] are all different. I'm not going to show up and shoot like someone else." She's also been doing her work long enough that she knows what she's good at, and where she chooses not to focus. "I don't do babies," she says with a laugh. "I outsource babies. I don't do sports stuff. You cannot pay me enough to go into a club and photograph. I'm at a point in my career where I can say no, and I do say no ... If you don't love it, it's going to show." 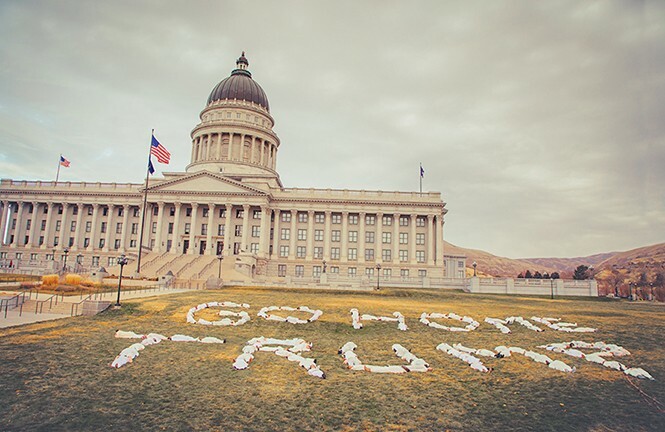 That love can show both in her commercial work and in her more daring art photography, including her "Last Supper" image featuring twelve "badasses of SLC," or an image of protesters in December 2017 positioning their bodies on the state Capitol lawn in anti-Trump messages. Yet despite her distinctive style, it's not easy for a photographer to be recognized for her work. When that shot of the protesters spelling out "Go Home Trump" went viral, you'd be hard-pressed to find Palmer's name in most of the places where it appeared. "I don't do this to sit on the sidelines," Palmer says. "When you share something on social media, give credit. We are real people behind the creation of these images, and that gets lost in the digital age." Austen Diamond—one-time music editor for City Weekly—has taken a different but equally successful path to working full-time taking pictures. After his time spent in journalism, he transitioned into photography, and works almost exclusively doing commercial work—whether that involves shooting events like the Utah Arts Festival, doing wedding photography or creating marketing and advertising images for businesses. "I'd say I'm more of a craftsman than a fine artist," Diamond says. "I don't have the goal of having a show in a gallery ... I get commissioned, I show up, and I'm creative from there. The right people find me because I make it clear what I'm about early on in our communication and in my marketing: Helping them refine their idea, whether it's selling beer that they brew, or documenting the best day of their life." Both Palmer and Diamond express an understanding for the idea that photography is on a different artistic tier than painting or sculpture, yet they also note that the idea that anyone can take a picture doesn't diminish the value of what they do. While even beyond the cameras on cell phones, starter equipment for a photographer can be relatively inexpensive, that doesn't mean there isn't an art to the process. Diamond actually believes that the proliferation of photographic images in the 21st century has made people more appreciative of the kind of work he does: "The fact that anyone can have a smartphone and take photos helps people understand the value of a professional who can see and command light to create exceptional images"
Palmer offers a similar, succinct way of thinking about that distinction: "Everyone's a photographer these days, it's true" she says, "but not everybody has an eye."